All new reservations from 08/14/2010 – 09/02/2010 will receive will receive a Vera Bradley Tote as a gift. Traditionally only guests that stay at the Inn by the Sea, Vera Bradley are given a special tote, but ALL vacation rentals will receive this gift with this limited time special offer. 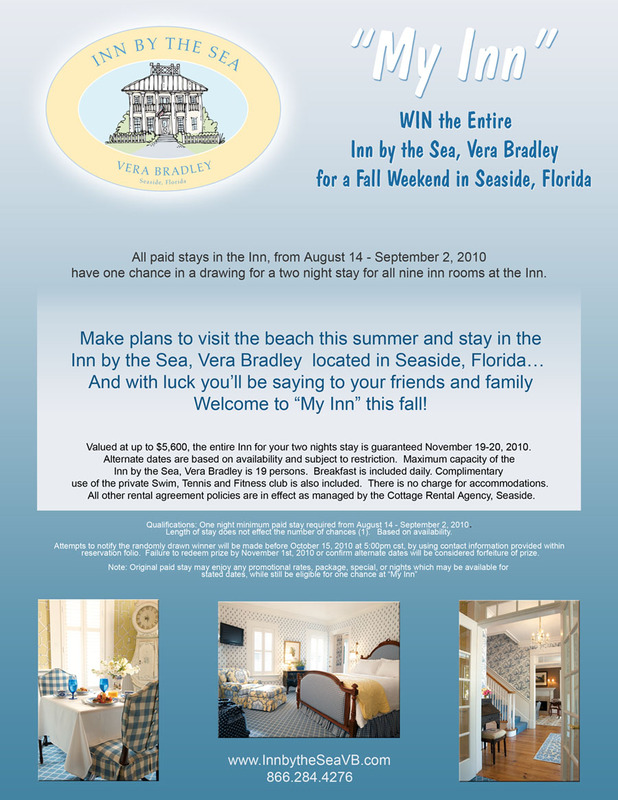 AND there is more… Each new summer booking into our remaining inventory of great vacation rentals will be given one chance in a drawing to win a weekend in the entire Inn by the Sea, Vera Bradley. The winner gets all nine guest rooms for two nights and may invite up to 19 total people to reside in Seaside, Florida. 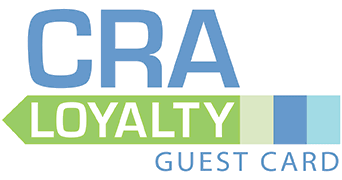 All guests receive a gourmet continental breakfast daily and all the other perks of staying with Cottage Rental Agency. Make a plan to visit our beautiful beach this summer and stay in the Inn by the Sea, Vera Bradley… and with luck you’ll be saying to your friends and family, welcome to “My Inn” this fall.